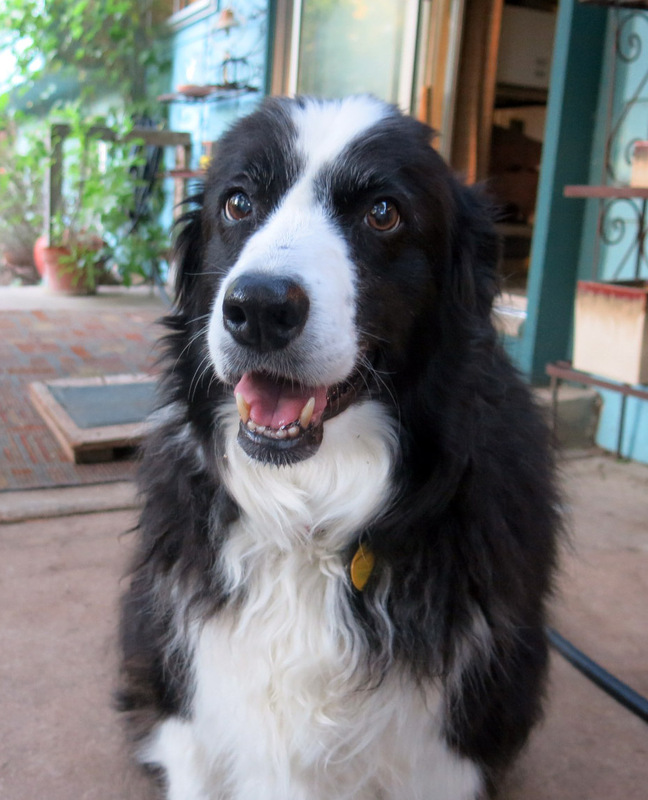 Hello everyone; once again it is I, Chess the purebred border collie, here to tell you about my day, which includes part of yesterday, because it just does. You may remember me from such posts as “Leafage And Branchage” and “This And That”, among many other delights. I’ll talk about “This And That” again, in just a bit. Don’t I look delightful? Well, I am. 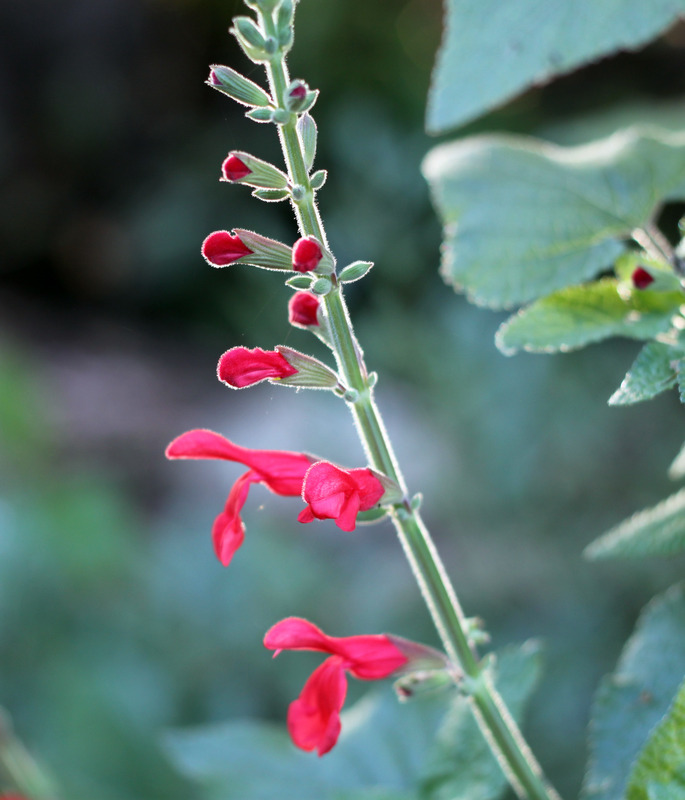 …..Salvia oresbia was collected much further south in the state of San Luis Potosí in the 1870s, so it’s really a completely different species. (The guy I live with, who insists on this stuff, says that the specimen Muller 2208, collected in 1935 at Galeana, might be S. darcyi.) Anyway, he says for people to quit linking these two. Whew. You know, sometimes a purebred border collie just wants to go into his fort after stuff like this. But there’s more. There was a freeze warning last night, at about 9 p.m. Why there couldn’t have been one earlier, the guy I live with didn’t know, but he went out and brought all the plants into the garage, in the dark. And of course it didn’t freeze, so he put them all back outside this morning. “Talk about wasted exercise” he said this morning, and decided to swear off any kind of effort then and there. 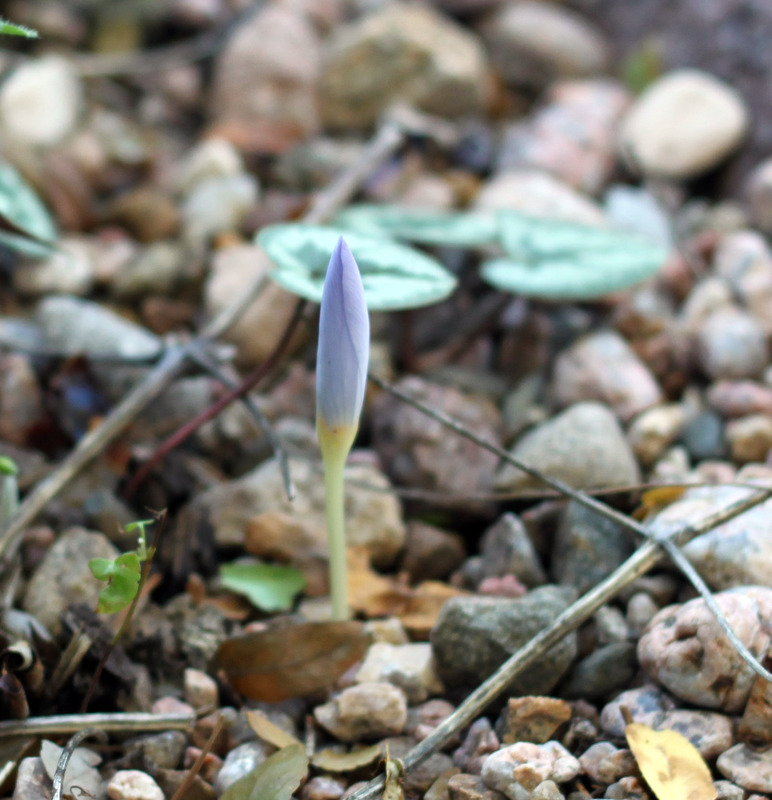 The first Sternbergia lutea is blooming. The guy I live with had to get “replacement bulbs” because the ones he had before “met with unhappy accidents”, meaning, of course, that he jabbed them with a trowel, and that was that. He wondered why he hadn’t seen any last autumn, and of course that was the reason. And finally, at long last, we have crocuses. I wasn’t worrying, but the guy I live with was beginning to wonder. This is a fancy-schmancy form of Crocus kotschyanus. It has a name and number, which are of course lost. People who claim to have photographic memories should be able to remember the name and number, but he claims he never looked at the label. The label he printed. Whatever. So I thought maybe we should look at a certain blog I know. We did, and there isn’t any number, just a name. “Reliant’. Unlike someone’s memory, I guess. (Yes, I know, “declining years”, but is that really an excuse?) Two weeks later than last year. This has been quite an effort, believe me. I’d like to go now, and so I will. 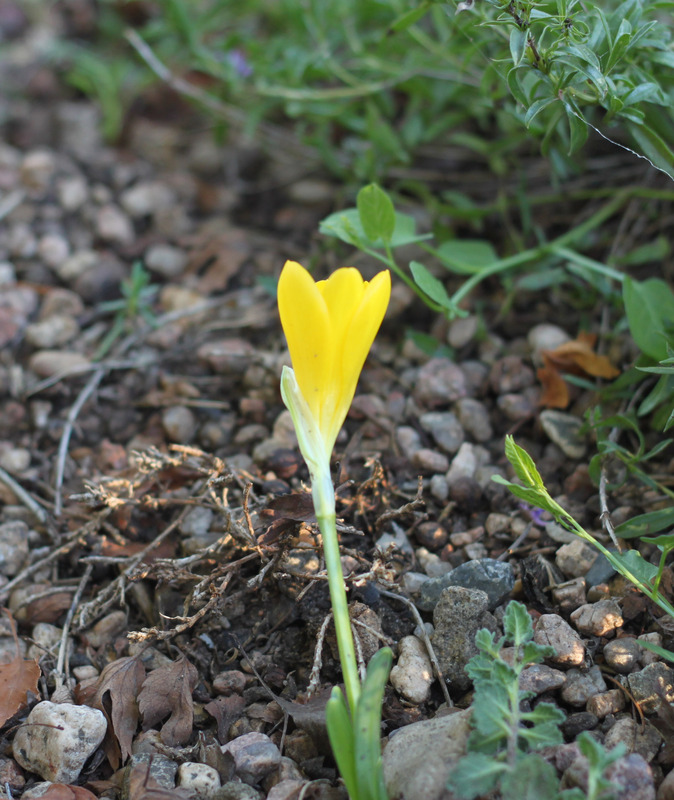 This entry was posted in Uncategorized and tagged Crocus kotschyanus, Salvia darcyi, Sternbergia lutea. Bookmark the permalink. One of your better portraits, Chess. Such a cutie, and so filled with personality. Yes, delightful. Such a fragile blue lavender, that last crocus photo. If I were a fairy, I should like a garment in that shade. Thanks; well, it’s focused, because I finally decided to sit still. The sudden appearance of the crocus was greeting with relief, since the guy I live with thought they might have all disappeared. So definitely delightful Chess. I have never been that fond of crocus but your guys photos of them are swinging me and the salvia, superb photography of plants and You. Thanks. Suitable for framing, huh? There’s a crocus addiction here, too.